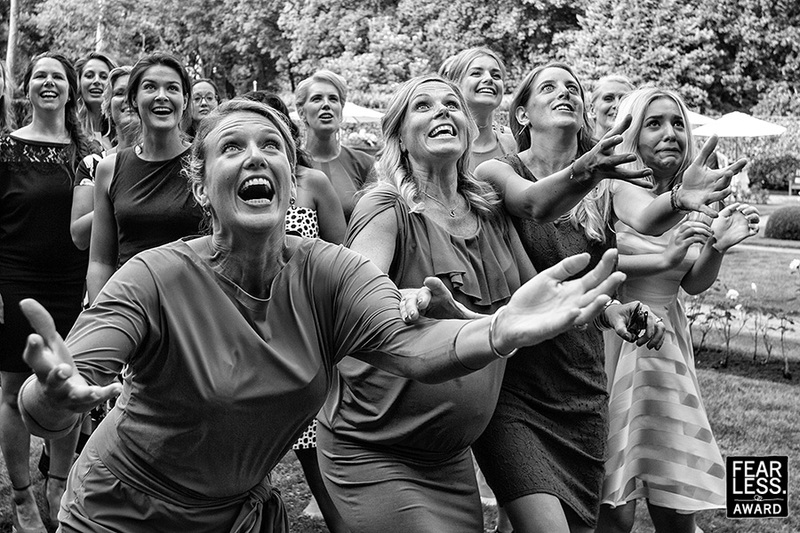 We have to assume that this crowd of ladies is waiting for the bouquet to drop, poised to leap for their chance to catch it. What the photographer saw was pure, unbridled, totally unselfconscious enthusiasm (mixed with a little trepidation on the far right!) and that made for a memorable shot!